Since taking the reigns of the Liberal Democrat party, Tim Farron has gone out of his way to seize headlines, get his face in the papers and fill the ever increasing void being left by the pathetic Labour party. However, with Farron’s chest beating over the activation of Article 50, some of the language he and his party have been using challenges my and many others’ notion of what ‘liberal’ and ‘democrat’ actually means. 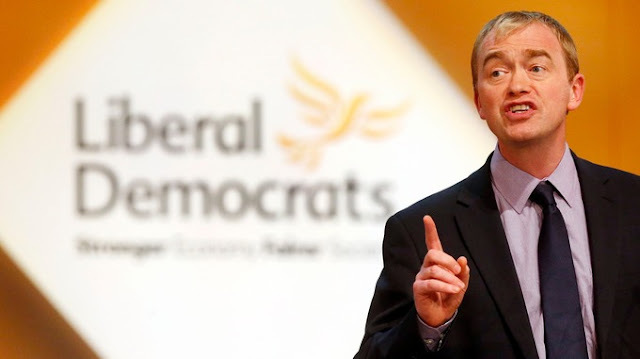 Tim Farron has stated that he and the Liberal Democrats are to vote against activating the European Union (Notification of Withdrawal) Bill as they continue to refuse acknowledgement of the referendum result and ignore democracy in work. Calls for a second referendum have been made on the terms of Brexit and for an option to retain EU membership altogether. The above comments made in the Commons perfectly highlight and expose the position that Farron and the Liberal Democrats have decided to take. Refusing to acknowledge the result of the EU referendum is undemocratic. Those that didn’t vote Conservative in the 2015 General Election didn’t physically stop them forming a government last year because respect for the democratic process. I have often found it very hard to take the Liberal Democrats seriously in recent years, given their lack of principles in pursuit of a more opportunistic approach. The likes of Gladstone and Lloyd-George would be horrified of what their party has evolved into today. Liberalism embodies choice, free trade, individualism etc. However, it would appear that the Liberal Democrats do not entrust people to vote for themselves and express their true views when it comes to the biggest of issues. They have displayed that they are against choice when it comes to policies such as schooling healthcare and a complete lack of acknowledgement of the undemocratic nature of the EU, in particular the EU Commission.